UW’s Conibear Shellhouse sits on the shores of Lake Washington and has served as the primary home for Washington Rowing since its construction in 1949. The shellhouse is located “on campus,” only a light 6-8 minute walk from Drumheller Fountain, at the center of the UW academic campus. Named for Hiram Conibear, the founding father of rowing at the UW, the shellhouse underwent a complete renovation in 2005 increasing space by 75 per cent to 47,250 square feet resulting in a unique, multi-purpose facility at the heart of the university’s athletic campus. Memorabilia from years’ past, including numerous trophies and relics from The Boys in the Boat era, including the Husky Clipper shell of the 1936 Olympic Champions, is on display for public viewing at Conibear Shellhouse. 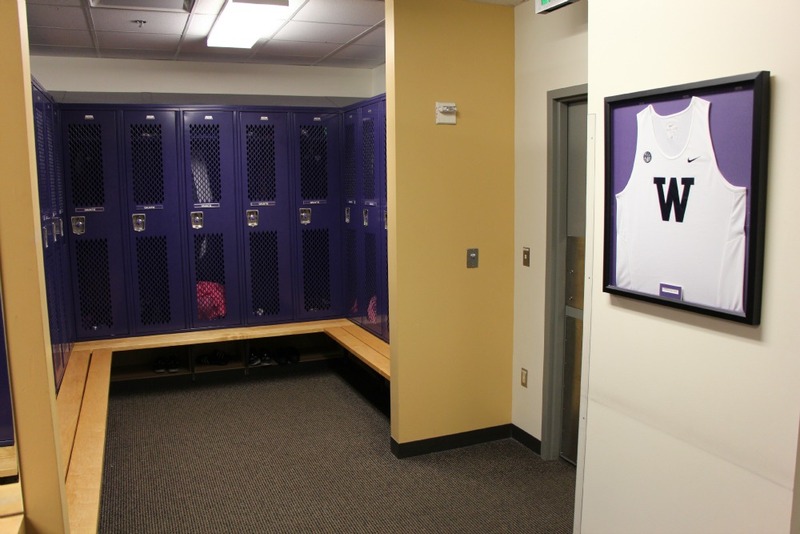 Conibear Shellhouse can be described as the heartbeat of athletic life as it serves as a hub for all of Husky student-athletes. The building houses the rowing coaches’ offices, the student-athlete dining hall, five shell bays, and state-of-the-art training facilities for the men’s and women’s crews. And only a 30 second walk away, student-athletes can take advantage of the Strength and Conditioning Center for Olympic Sports, breakfast and all-day snacks at “Fuel Den,” and the world-class academic guidance and support services at the Ackerley Academic Center. Please note: Conibear Shellhouse is open to the public from 9 a.m. to 4.pm. Monday through Friday. The dining room where the Husky Clipper boat is displayed is closed to the public during private events and during student-athletes’ evening meal hours. Fans of The Boys in the Boat now have a unique opportunity to get an inside look at the Washington Rowing boathouse and the team that is the legacy of the famed 1936 crew. The tours are led by Washington Rowing alum Melanie Barstow, ’16, and specifically focus on the history and legacy of the boys of 1936. Tours are offered on Sundays from 12 p.m. – 1 p.m.